The female has the same color pattern as the Cameo. The overall color of the bird is a light gray, lighter than the Charcoal female in color. The head and upper neck are a darker gray than the rest of the bird. The crest is fan shaped. Facial skin is white. 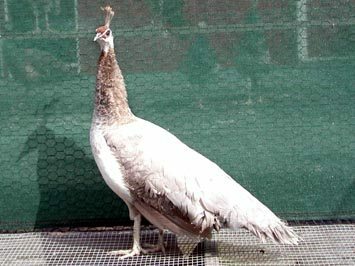 There is no iridescence to the neck feathers. 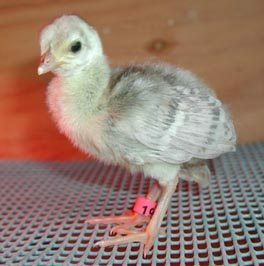 The chick has the same color pattern as the India Blue. The entire chick is gray in color.